In the Group F there will be a exiting game between Iran and African Giants Nigeria as both teams are starting their World Cup campaign. The game will be held at Arena da Baixada in Curitiba on 16 june 2014. Coach Carlos Queiroz has installed a never die attitude in this Iranian team who have been playing some good football in the last couple of years. They are ranked top among all the asian countries but Iran’s world cup pedigree is very low. There only win came against USA 16 years ago in 1998 world cup while Nigeria has consistently qualified for world cups in last 20 years but they never tasted success. Their last win in the world cup was back in 1998 against Bulgaria since than they have drawn 2 and lost 6. Iran are likely to start with Daniel Davari who plays his football in germany, while Ghoochannejhad might start upfront as a lone striker and Haddadifa, Shojaei and Dejagah supporing him from midfield roles. Nigeria have a few premier league stars to call upon with Victor Mosses supporting two forward upfront in Odemwingie and Emenike. 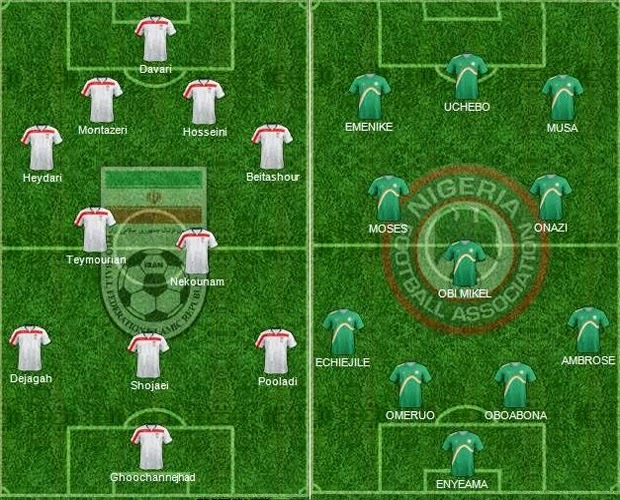 Both teams dont have much of success in their world cup history, but Nigeria do look a much better and balanced unit compared to Iran but that does not mean Iran are just a roll over. The way world cup games are going its hard to predict as in 7 of the 9 games played the team conceding first is winning and there has not been a single draw in opening 9 matches. 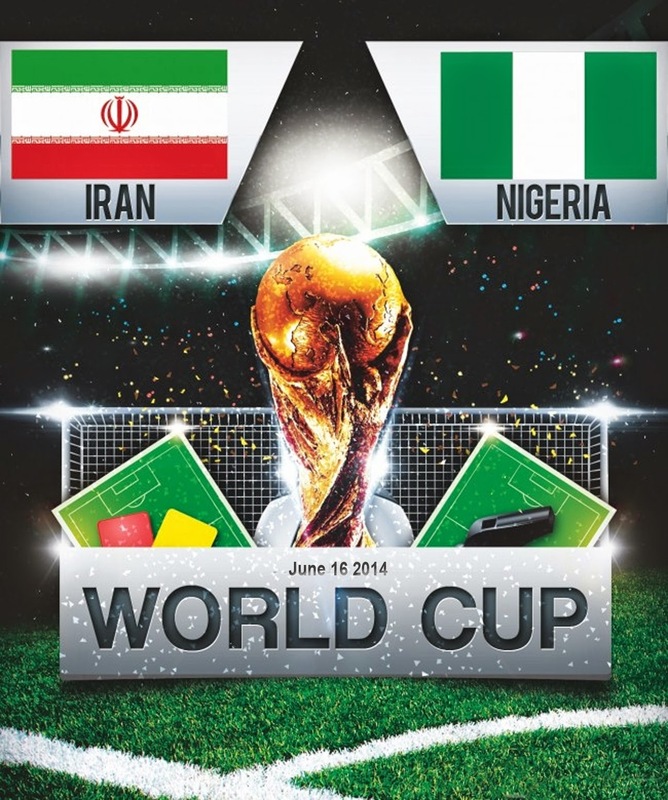 We can see the same pattern in this game, Iran might take early lead but Nigeria will finaly break them down and win the game.